It can be hard to do tasks when your hands are cold. Even if you’re indoors, there are some days the coldness is really unbearable. 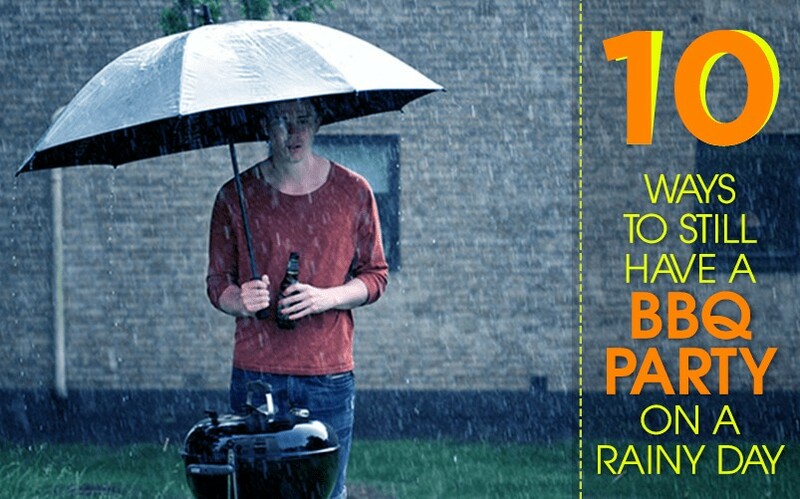 During these situations, rechargeable hand warmers can be very useful. They instantly provide a pleasant warmth to your hands no matter where you are. These devices are portable, and you can recharge them using a USB power supply, so they’re very convenient. With the wide selection of rechargeable hand warmers in the market, you will surely have a hard time looking for the right one for you. That’s why I created a quick guide to help you determine which one among the full range of products will suit your needs the most. You can also check out our reviews on the The 9 Best Heating Pads of 2018. 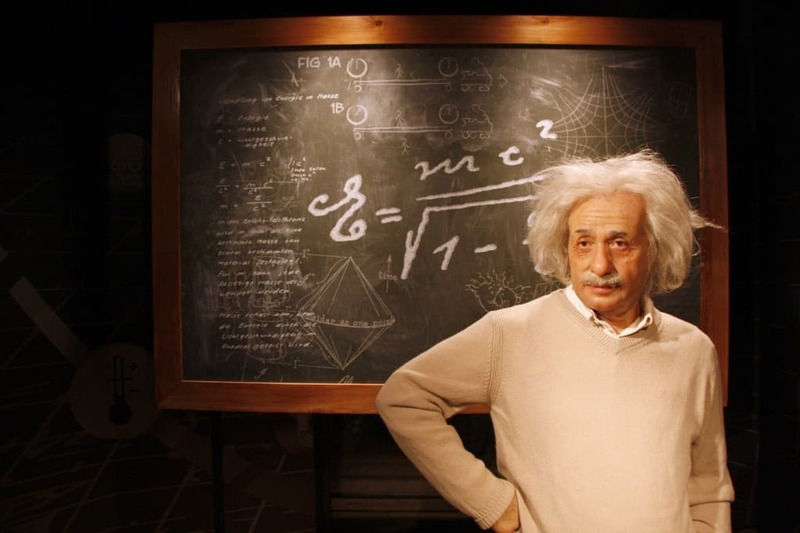 As with any other gadget, the battery capacity will determine how long the device will last on a single charge. And of course, it’s always better to choose those with a higher capacity, especially with rechargeable hand warmers, as you would get warmth longer than having to recharge it. Plus, these devices can also serve as a power bank for your gadgets, so it’s an advantage if you buy one with higher battery capacity. Rechargeable hand warmers are available in various colours and designs. However, it’s not all about the appearance, but also the comfort. Make sure you pick one that can be easily handheld and it’s comfortable to use. If you intend to use it outdoors like for skiing or ice fishing, choose one that can are small enough fit to fit inside your mittens and with more durable construction. Not all rechargeable hand warmers offer double-sided heat, but it’s always better to get both of your hands warm during colder month. Keep an eye on this feature because it will help you fully enjoy utilise the purpose of the device. These are the things you need to consider for you to arrive at the right buying decision. But to narrow down your choices, I made a selection on the most cost-efficient rechargeable hand warmers on the market today. These are selected based on their price, quality and features. I made a review on each product to give you an idea of why I think they are the best. The Pisen Hand Warmer is the bestselling rechargeable hand warmer on Amazon today. Although it’s quite offered at a higher price range than other brands, it guarantees to give you an excellent value for your money. It’s a dual-side warmer so it can simultaneously provide heat to both of your hands. This hand heater is integrated with a timer control that automatically stops heating after an hour or when it detects that the temperature is exceeding 122℉(50℃). Its battery capacity is at 7500 mAh, and it can heat up for as long as 4 to 6 hours after fully charged, you can also use it to charge your smartphone or tablets. The Pisen Hand Warmer is designed to fit in an adult’s palm perfectly, so you can also quickly put it in your pocket. It’s also integrated with multiple safety features such as over-charging protection, over-heating protection, short circuit protection and a lot more. The Anmas Box Pocket Electric Hand Warmer is another highly-recommended rechargeable hand warmer. It comes in four stunning colours, and it has a 5200mAh battery capacity. It can last for about 6 hours depending on the temperature mode. It offers three modes: high, middle and low. 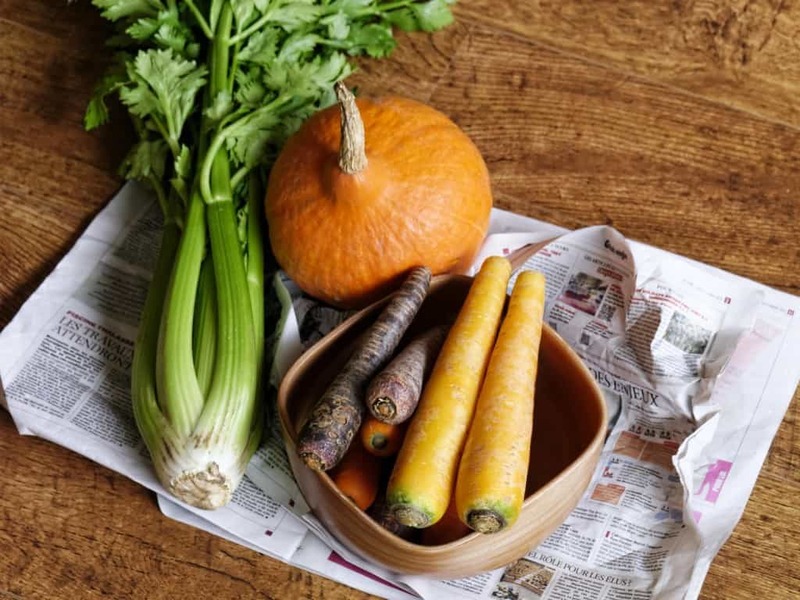 The high temperature can reach 55℃, and it lasts for about 2.5 Hours, the middle temperature is at 48℃ and lasts for about 4 hours, while the low heat which is at 42℃ can last for about 6 hours. Aside from keeping your hands warm, the Anmas Box Pocket Electric Hand Warmer also claims that the heat transmission can promote blood circulation as well as speed up metabolism. 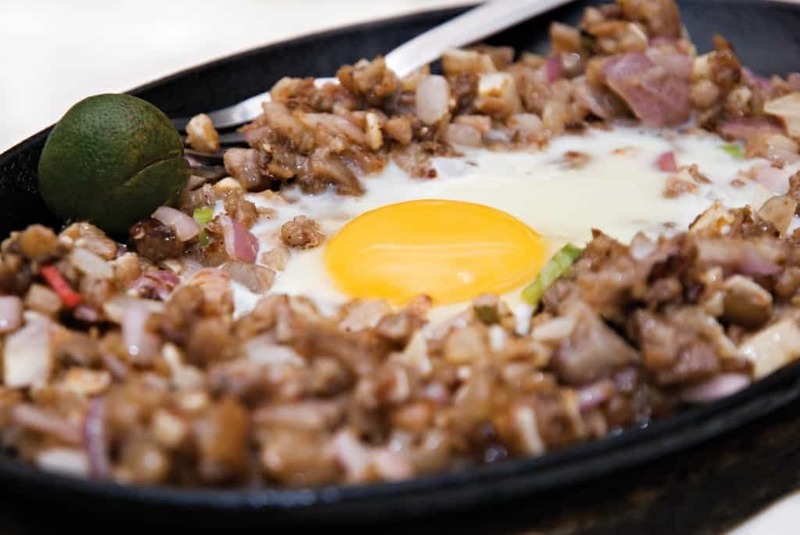 It provides heat on both sides and it has a shape of a pebble making it easy to carry around. The Kusisi Rechargeable Hand Warmer is a 4-in-1 multi-functional device as it can do different things aside from providing pleasant warmth. But before we discuss that, let’s talk about its features first. It has a 5200mAh battery capacity, and it’s a double-sided hand warmer. You can select from the three temperature modes: High(50-55℃), Medium(45-50℃), and Low(40-45℃). As mentioned, this device boasts its four functions: hand warmer, power bank, massager and LED light. Its massage function makes it suitable to be used for other parts of the body like the back or the stomach area during menstruation. It can work up to 4-8 hours depending on the temperature level you’re using. 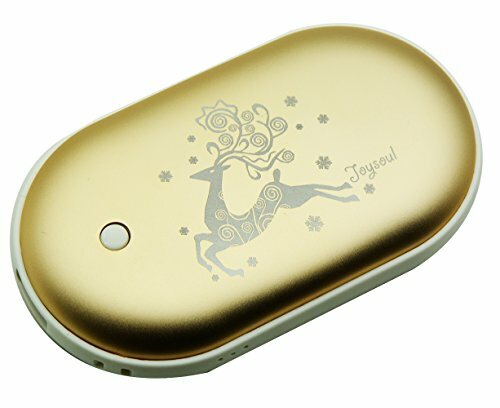 Among the rechargeable hand warmers on the marketplace, the JoysoulEU Power Bank Hand Warmer is probably the only one with a print, which makes it a perfect gift for Christmas and other occasions. This has a 5200 mAh battery capacity, and it’s relatively small making it fit inside a mitten or glove. It comes with a strap and a bag to make it easier and more comfortable to carry around. 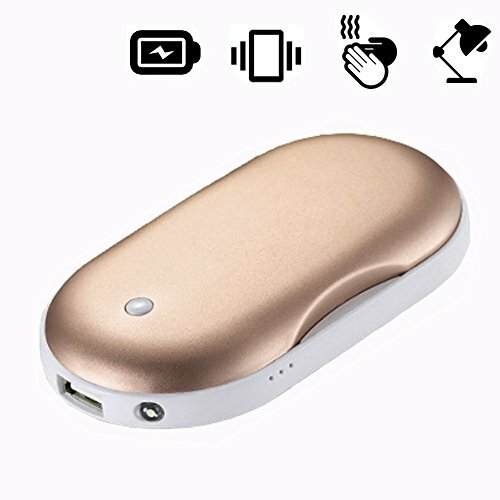 The JoysoulEU Power Bank Hand Warmer is made of made of high-tech aircraft-grade aluminium and ABS, and it heats up both sides quickly. It can last for about 6-7 hours when fully charged depending on the selected temperature settings. The device offers three heating adjustments from 40°C to a maximum of 55°C. 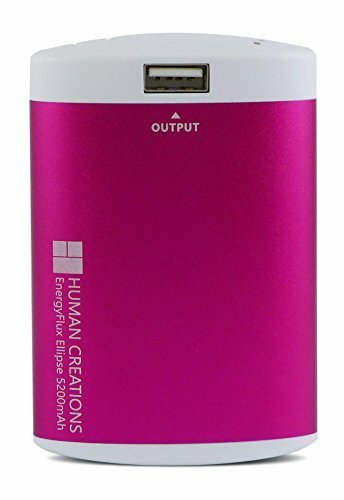 The Human Creations EnergyFlux Ellipse Rechargeable Hand Warmer doesn’t have a pebble shape like most of the products on this list, but it’s still easy to grip. It warms on both sides, and it offers two heat settings. When it’s at 42°C, the battery can last for up to 6.5 hrs, and when you select 48°C, it will last about 5 hours. 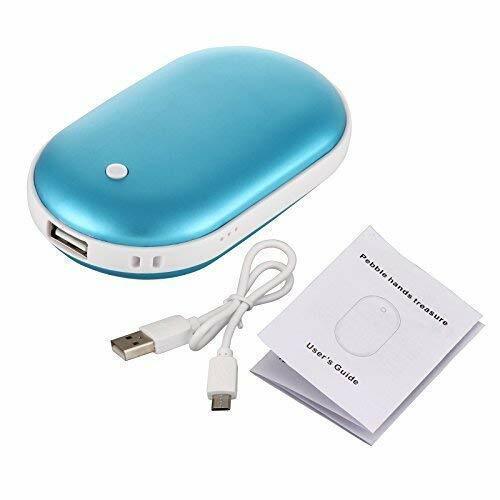 You can also use this device as a power bank, simply connect your charger to is USB port. 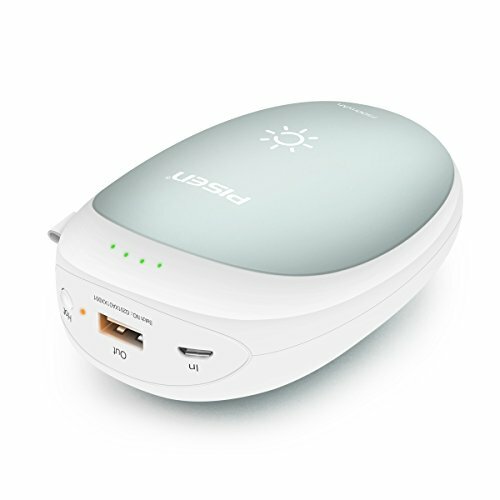 The Human Creations EnergyFlux Ellipse Rechargeable Hand Warmer does its best to maintain the temperature it is set at, and therefore, it needs to be charged more often in colder temperatures. 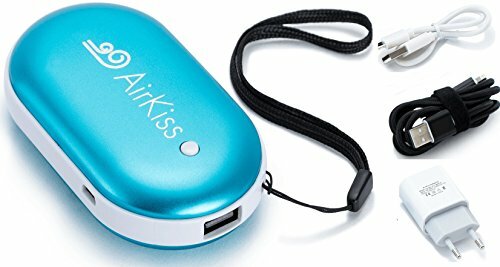 The AirKiss Power Bank & Hand Warmer has a 5200 mAh battery capacity, and it features original Samsung AA rechargeable batteries that can be charged up 1,200 times. This device comes with a fast European (EU) adapter and a protective pouch. It’s also very portable weighing only 140 grams. 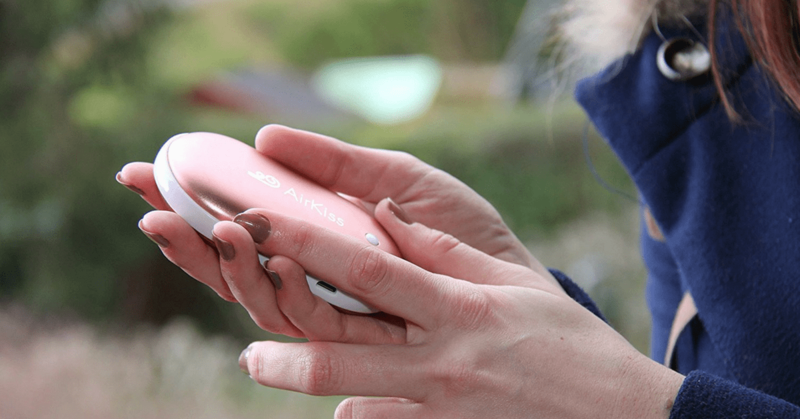 The AirKiss Power Bank & Hand Warmer can last for about 10 hours depending on the temperature settings, and you can also use it to charge your devices. It offers three warming temperatures from 42°C, 48°C, up to 55°C. Plus, it comes with a cute little postcard making it an excellent gift idea for your loved ones.